Achin District Governor Haji Ghalib Mujahid and his son meeting people in the streets of Achin District. Achin’s district governor is at war with an old friend from Guantanamo Bay. Haji Ghalib Mujahid, the district governor, was appointed six months ago to contain their advances. This morning, he has asked his guards to bring the traditional chai and Afghan sweets to the table for him and his guests, all officials from the district of Bati Kot: the police chief, the district governor, the district National Directorate of Security (NDS) chief, and another member of the Bati Kot district NDS. Despite the ongoing clashes between Taliban and IS militants in their area, they are all here to pay respects to Haji Ghalib and inquire about his health. It was not a bullet at the front line, however, that harmed his right eye and forced him to be hospitalized in Kabul for four days. A car accident on the infamous Kabul-Jalalabad highway, where fatal accidents are all too common, is to blame for the latest injury to this middle-aged man with a long history of fighting. Achin District Governor Haji Ghalib Mujahid in his office. Photo by Silab Mangal. 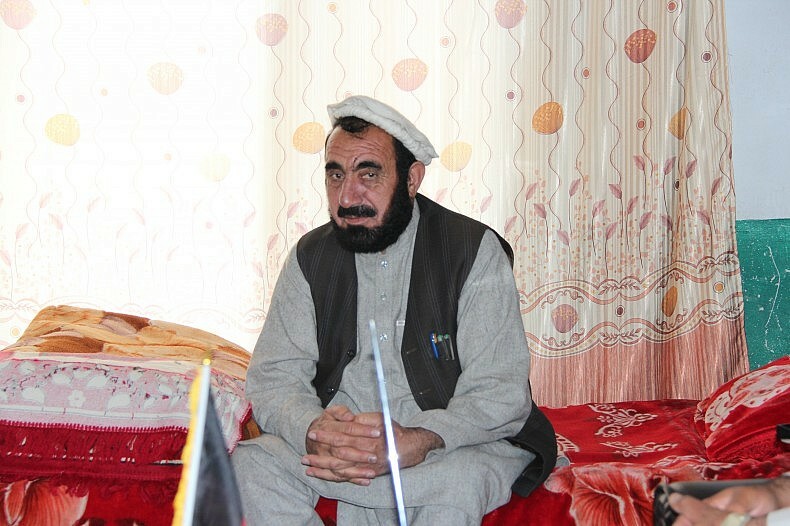 A former mujahedeen who fought against the Soviet invasion, Haji Ghalib was a bitter enemy of the Taliban. As many as 18 members of his family, including his first wife and a 3-year-old daughter, were killed by a bomb while visiting the grave of another family member, who had been killed in a previous attack. “I look at the picture of my daughter every morning when I get up,” Haji Ghalib explains, “and I get furious.” The portrait of the little blond child with brown eyes lies beside his bed, next to a calendar full of flower designs and bright colors. Without the soldiers standing outside for his security, this would look the room of any struggling father, rather than a front line warrior in charge of what the international community considers one of the world’s worst security issues. 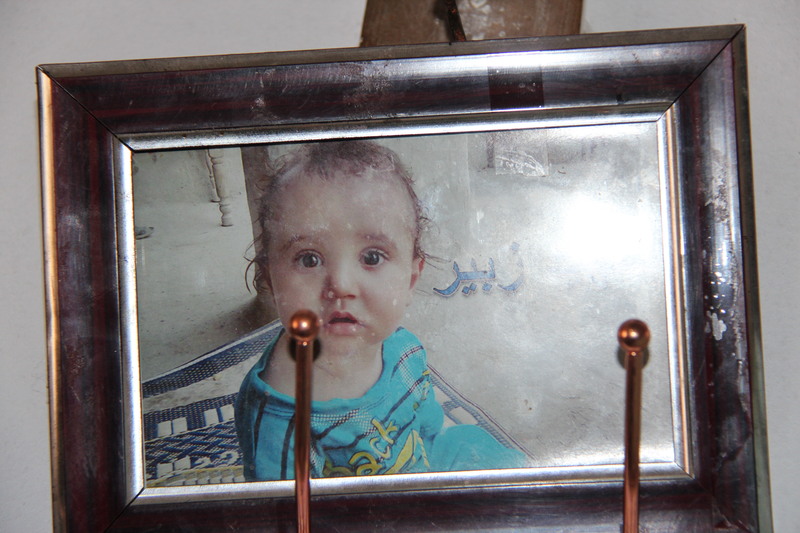 A picture of Haji Ghalib’s young daughter, who was killed in a Taliban attack. Photo by Silab Mangal. For many years, the Taliban were the shadow authority of this area, contending for power with the central government, and violently opposing all initiatives. 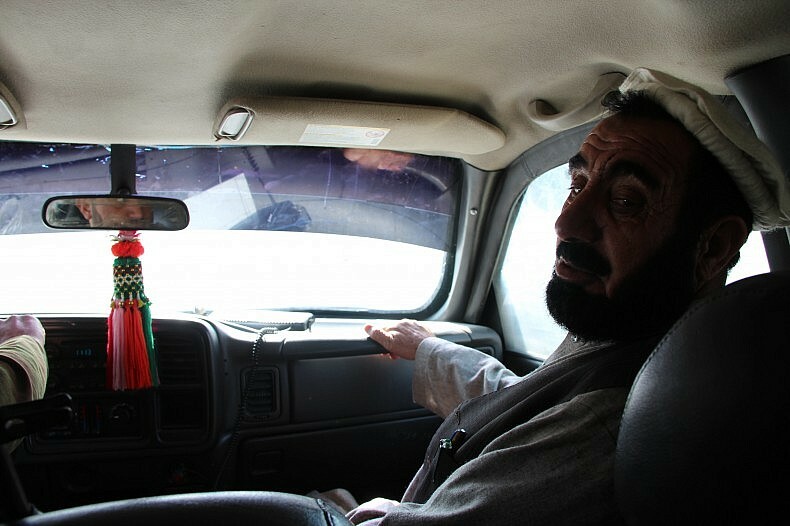 “The ministry of infrastructure asked me to coordinate the works of a road,” Haji Ghalib says, “but the Talibans were against it and the attack against my family took place.” While recalling the most tragic event of his life, his words also describe the history of a country of never-ending violence. Friends, enemies, and alliances see no ideological barriers in Afghanistan. Rival warlords often have to renounce their friends or embrace their enemies. For instance, Vice President Abdul Rashid Dostum and Atta Mohammad Noor, the powerful governor of Afghanistan’s Balkh Province, had to set aside old rivalries to fight against Taliban last year. Haji Ghalib himself had to reject an old friend. Abdul Rahim Muslim Dost, one of the most important leaders of the Islamic State of Khorasan, was his cell mate in Guantanamo Bay, Cuba. Muslim Dost was arrested by American forces soon after the terrorist attacks on September 11, 2001, and Haji Ghalib in 2003. But while Muslim Dost was accused of having ties to al-Qaeda, Haji Ghalib claims, without giving much detail, that he was imprisoned on the basis of “false allegations.” U.S. government documents indicate that he was accused of being a member of the Taliban. The two men came from very different backgrounds, but they became good friends in the infamous prison, where Haji Ghalib spent over four years before being released without charges. Now, the same government that locked him behind bars is asking for his help to coordinate the airstrikes against IS militants and their deputy chief, Muslim Dost. “If I find him, I will kill him,” Haji Ghalib says. Achin District Governor Haji Ghalib Mujahid in the car. Photo by Silab Mangal. Strange as it may seem, Haji Ghalib and the Taliban now share the same enemy. For both of them, IS is a foreign threat, one that seeks to supplant both the Taliban and the international supported government in Kabul. Many Afghans believe that the new militants are mainly Pakistanis, Uzbeks, and other foreigners, but the reality is that many Afghans — former Taliban — have pledged alliance to them. “They are brutal,“ Haji Ghalib says. “They are massacring so many people, making no distinction between civilians and soldiers. The border between political and tribal rivalry in this area is blurred. The local Pasthun tribes, the Momand and Shinwari, have always had opposite interests. The first is an historical Taliban supporter; the second a longstanding Taliban enemy. The arrival of IS has also changed this situation. Within the same Shinwari tribes, members have spit. Some have been reported to join IS, others instead joined the local militia who is fighting the group alongside the Taliban and governmental forces, causing no little confusion on the ground. For now, Haji Ghalib is enjoying his victory against the Islamic State. He gets out of a pick-up truck and shakes hands with elders and shopkeepers. His son, his last living family member, oversees every movement, a rusty AK-47 in his hands. After a morning spent talking with the Shinwari militia, half a smile finally reveals pride on Haji Ghalib’s face. A smiling kid of eight years old want to congratulate Haji Ghalib for restoring security and allowing him to go back to school. A perception of liberation, however fleeting, honors the continued daily struggle of this province, the front line of the Afghan fight against IS advances. Laura Cesaretti is a freelance reporter based in Kabul, Afghanistan. Silab Mangal is a journalist and researcher based in Kabul.